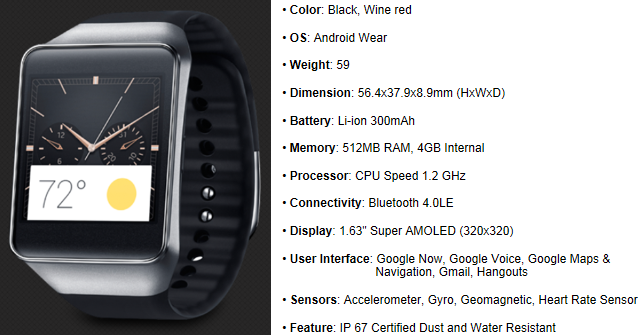 Samsung Gear Live (SM-R382) is a new Samsung Wearable device that uses Android Wear OS. Samsung Gear Live gives you useful information when you need it most. Just say "Ok Google" to ask any questions. You can also say "OK Google" to get things done, like sending text messages or taking notes. Extending the Android platform to wearables, Samsung Gear Live is compatible with smartphones running Android 4.3 Jelly Bean™ or higher. All you favorite Android apps will display notifications on the Gear Live.